From world renowned tomatoes to legendary hot dogs, New Jersey is chock full of culinary treasures. And to celebrate all the great food and drink that the country's most densely populated state has to offer, we've rounded up 23 of the Garden State's claims to culinary fame as part of our second annual guide to the best food and drink in every state. Like Rodney Dangerfield, New York City's neighbor to the west doesn't get much in the way of respect. 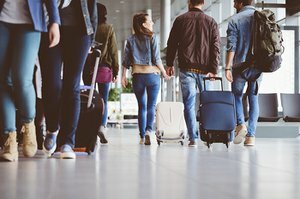 A big part of the reason for that is the dense network of highways that make it a crucial conduit for those traveling up or down the Eastern Seaboard. But if you've only seen Jersey by way of the Turnpike, then you really haven't seen Jersey. 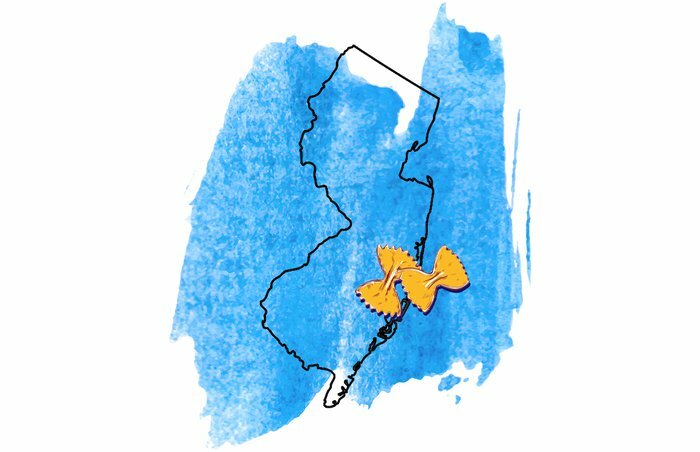 New Jersey is called the Garden State for a reason: Much of the state is lush and verdant. According to Jersey Fresh, the state is home to 9,000 farms covering 720,000 acres, and food and agriculture is Jersey's third-largest industry. Not only do New Jersey farms produce more than 100 kinds of fruits and vegetables, the state is also home to some great places to eat and drink, and over the course of the past year we've honored everything from its best hot dogs and brunch spot to its best bar and craft beer in our comprehensive and wide-ranging lists and rankings, compiled through extensive research and with input from a wide network of site contributors, bloggers, journalists, and chefs.. We've compiled these into individual slideshows celebrating the best food and drink in every state, and you can find our New Jersey gallery ahead. 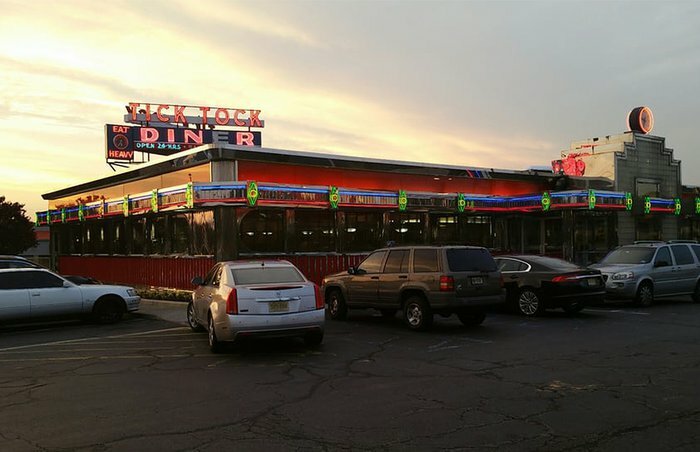 Literally everyone from northern New Jersey has heard of the Tick Tock Diner, and just about all of them have dined there as well (seriously, ask them). The reason? It's located on Route 3 in Clifton on the way to/from New York City, and it's also really, really good. All chrome, neon, and glass brick, this diner is a quintessential New Jersey hangout, with a menu about as long as War & Peace. If you get one thing, however, make it the Disco Fries, New Jersey's answer to poutine: fries topped with melted mozzarella and brown gravy. We can't tell you exactly where Classified is located in Newark Airport because, well, nobody knows. 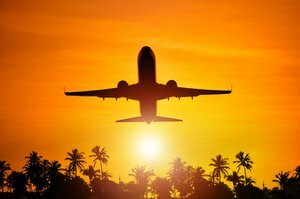 If you do manage to score an invitation from United Airlines, however, we hear that the exclusive eatery features a world-class menu that's more than worth the steep price tags. 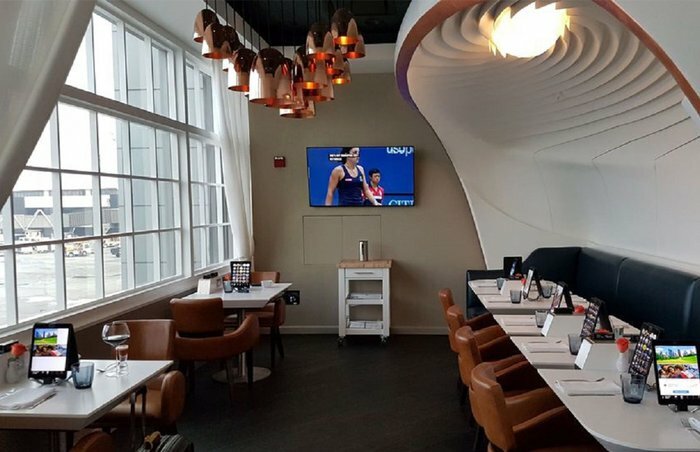 Menu items have reportedly included their signature dishes, a 42-ounce tomahawk steak and a chili lobster, as well as chicken biscuit sandwiches, oysters, shrimp salad, crab cakes, and all other kinds of top-quality seafood dishes as well as many expensive drinks and cocktails. 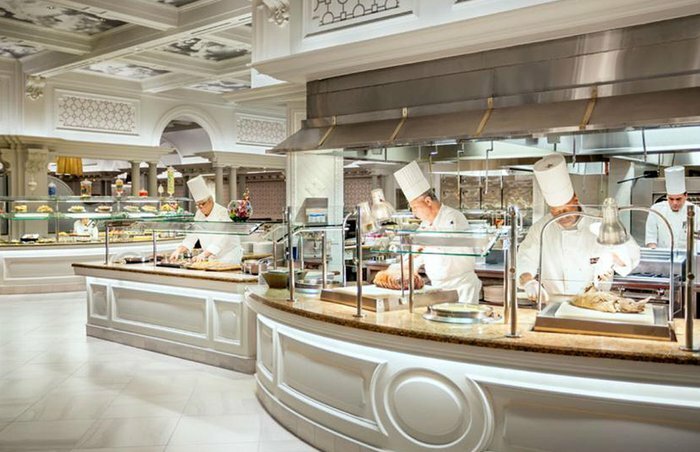 Every casino-hotel in Atlantic City boasts a buffet, but the one at the Borgata just might be the best. The Borgata is the largest hotel in New Jersey as well as the top-grossing casino in Atlantic City, and the buffet is reasonably priced and really has something (multiple things, in fact) for everyone. The meat section alone is worth the price of admission, with options ranging from sirloin steak and prime rib to grilled chicken, beer-braised pork belly, barbecue pork ribs, and pork chops. The seafood section is also expansive, with fried snapper, mahi mahi, salmon, clams, sushi, shrimp cocktail, and seafood pasta. Rounded out with a selection of Italian dishes, Chinese food, burgers, fried chicken, and macaroni and cheese as well as surprising finds like roasted marrow bones, this is a buffet that's impossible to dislike. 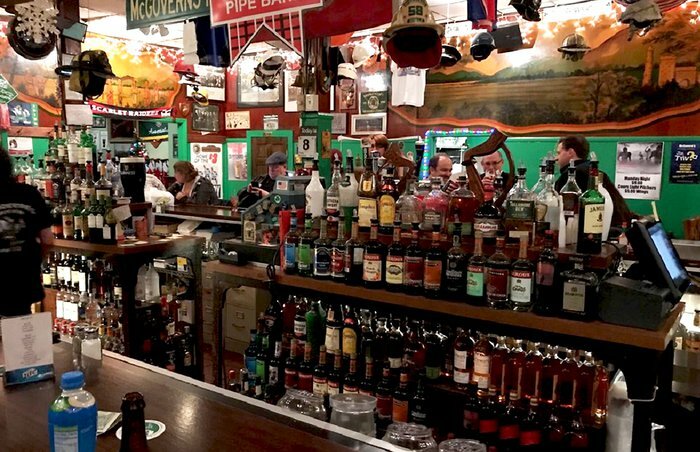 For more than 80 years, McGovern's Tavern, an Irish pub located six blocks from Newark's Penn Station, has attracted a clientele of blue collar types, office workers, college students, and police officers and firefighters (many of whose hats and helmets hang from the ceiling). Originally opened by Frank McGovern in 1936 as a meeting place for Irish immigrants, the bar survived the Newark riots in 1967 (which led to the closure of many businesses) and today serves up pints of Guinness, other brews, and bar fare like a 10-inch pizza and a sandwich called the Dublin Decker (corned beef, turkey, Swiss cheese, coleslaw, and Russian dressing served on rye bread). McGovern's is closed on weekends. 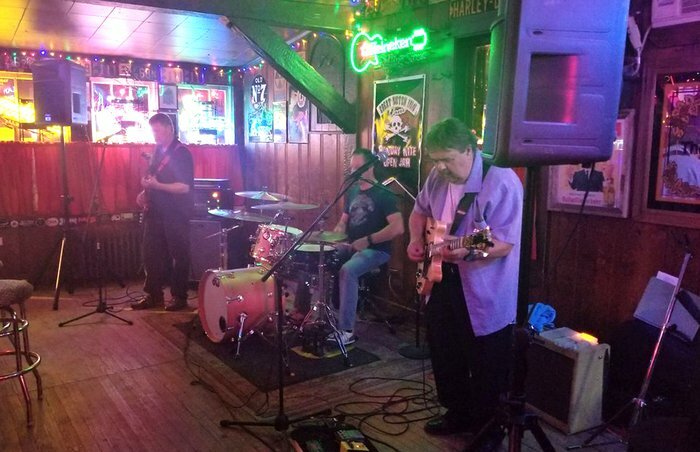 This Jersey Shore fixture does its part to contribute to the local music scene by offering live music nearly every evening of the week, including ukelele and drum events. 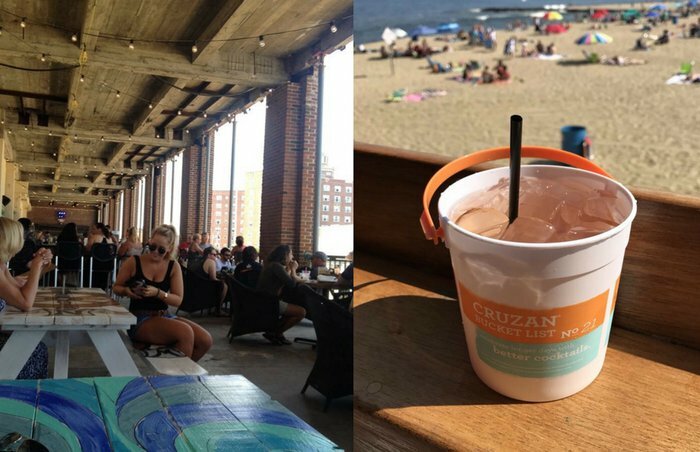 With "the best view in Asbury Park overlooking the south beach," the Beach Bar doesn't disappoint. Their rum buckets would make The Boss proud as well. 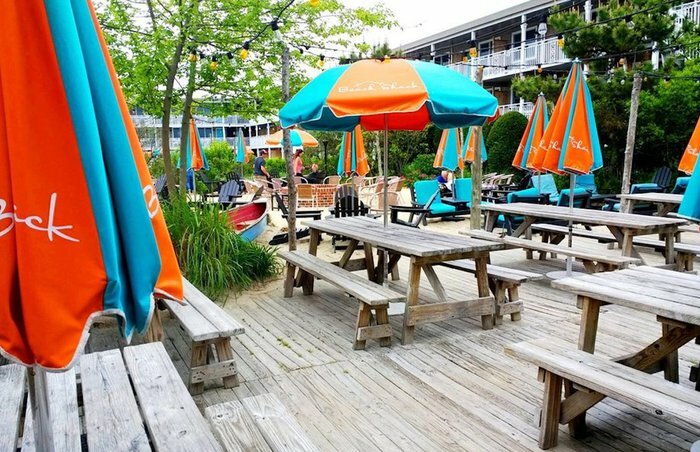 A local favorite since the 1970s, The Rusty Nail is a surfer bar and restaurant located at the Beach Shack, a wonderful Cape May hotel. From May through December, you can enjoy a delicious meal and live entertainment right by the ocean. A firepit outdoors is available for the summer days whereas an indoor fireplace will warm you up during the colder months. Bring the whole family to enjoy their classic beach menu - dogs included with a special doggie menu just for them! Like a lot of things in life, New Jersey's craft beer scene often gets overshadowed by its neighbor, New York. But every craft beer fan in New York City knows the name Kane Brewing Company. 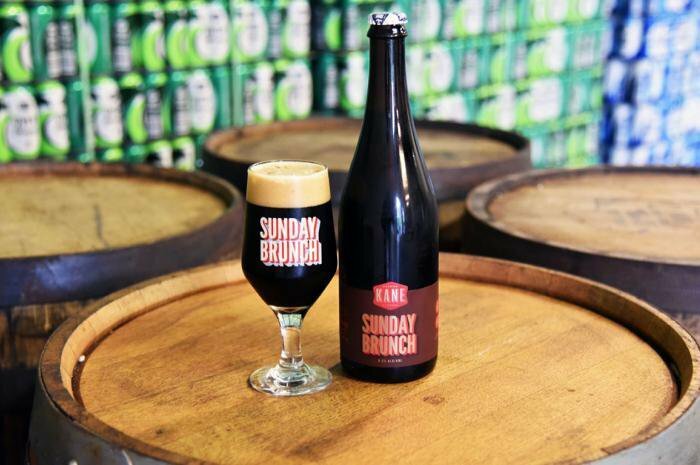 Any number of this brewery's beers could be deemed the best in New Jersey, but Sunday Brunch earns its status well. Thanks to tasting notes of cinnamon, maple, coffee, and lactose, this rich, dark-pouring porter is like a decadent sweet brunch in bottle form. A North Jersey legend, White Manna is one of the last remaining diner-style burger joints that arose in the tradition of White Castle. What's served here is the perfect interpretation of that form, honed over decades and decades, unchanging. Walk up to the tiny counter, place your order with the grillman, and watch as he smashes a small wad of meat onto the flattop with a handful of thin-sliced onions, keeps careful track of it as it cooks, and sandwiches it into a Martin's potato roll. 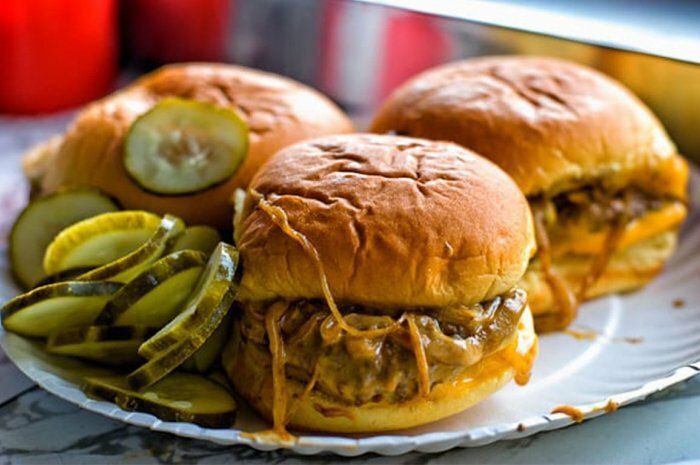 Make it a double with cheese, and the burger that will end up on your plate next to some pickle chips won't be pretty, but it's astonishingly delicious. 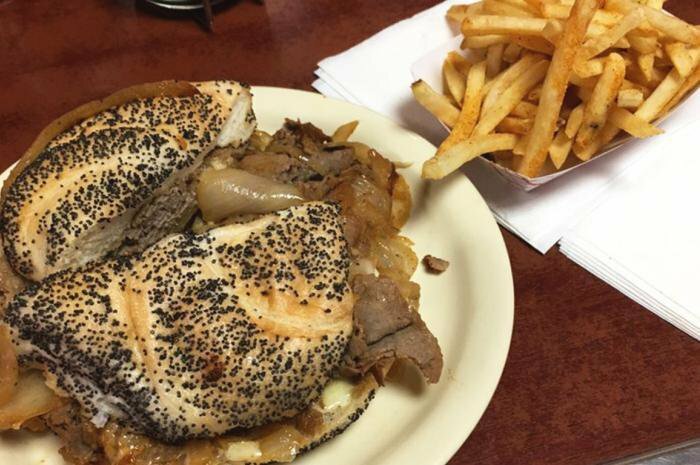 Since opening in 1947, Donkey's has been turning out some spectacular cheesesteaks, and doing it slightly differently from their neighbors in Philly: Instead of a soft Italian roll, theirs comes on a poppy seed-topped kaiser. It may be sacrilege to some, but one bite will tell you all you need to know. Piles of thin-shaved steak take up half of the grill; a mound of sliced onions occupies the rest. Each pile of steak gets a sprinkle of seasoning before being piled onto a soft steamed bun, then topped with onions and a couple slices of melty American cheese. Not incorporating the cheese into the beef can also be seen as a cardinal sin, but - once again - the proof is in the pudding, and the end result is one spectacular cheesesteak. 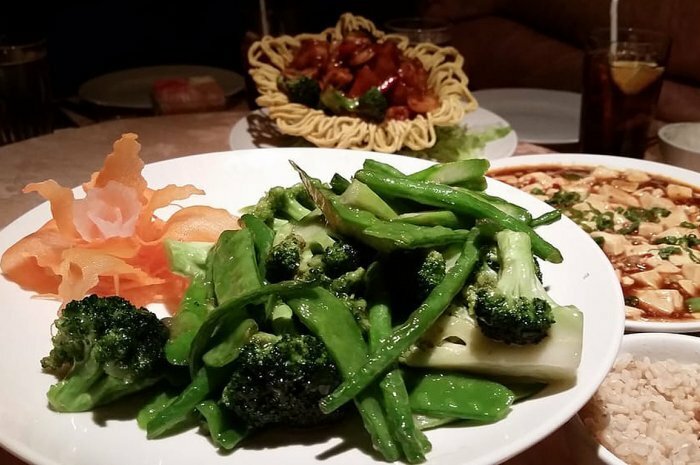 This upscale Chinese restaurant is ornately decorated and a great place for a night out, and has been pulling in the crowds since it was first opened by the Hsiung family in 1986. Popular favorites include soup dumplings, steamed or fried whole fish, Peking duck, Mandarin pork chop, and sizzling filet mignon. There's also a separate section of the menu devoted to traditional Chinese dishes including beef tendon and tripe in hot Sichuan pepper sauce; bang bang chicken (shredded in hot peanut sesame sauce - a must-order); Sichuan beef, chicken, or fish in fiery hot oil; and the Emperor's Special Seafood Pot, filled with shrimp, scallops, abalone, tripe, quail eggs, and sea cucumber. 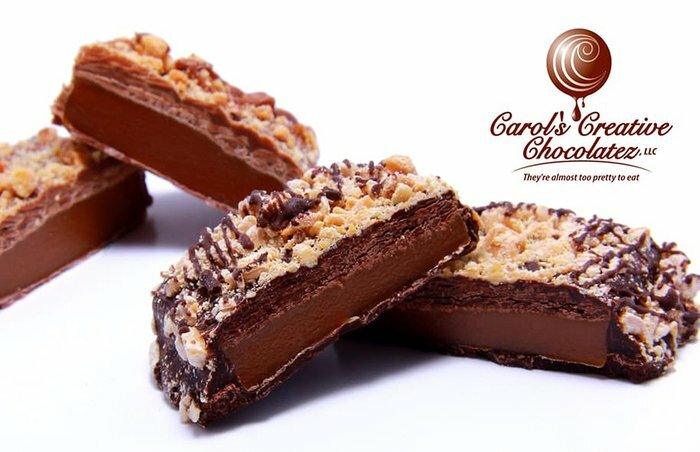 "They're almost too pretty to eat" is the tagline for Carol's Creative Chocolatez in Somerville, New Jersey. The main word being "almost." These single-origin chocolates are stunningly presented and made carefully in house. 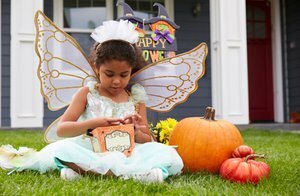 Their signature item is a custom chocolate painting, where you can get any image you want crafted in 100 percent edible chocolate. Bwè Kafe specializes in Haitian coffee specifically as part of the owner's long-standing endeavors to assist the children and youth of the beautiful yet disaster-stricken country. Maryanne Fike, a Hoboken resident and owner of Bwè Kafe, co-founded Love for Haiti/the Ark Project as a 501c3 organization meant to assist Haitian youth in getting a better education, and a portion of the café's proceeds go towards the endeavor. Have your delicious Haitian coffee with a pour-over or the Japanese slow drip cold brew. 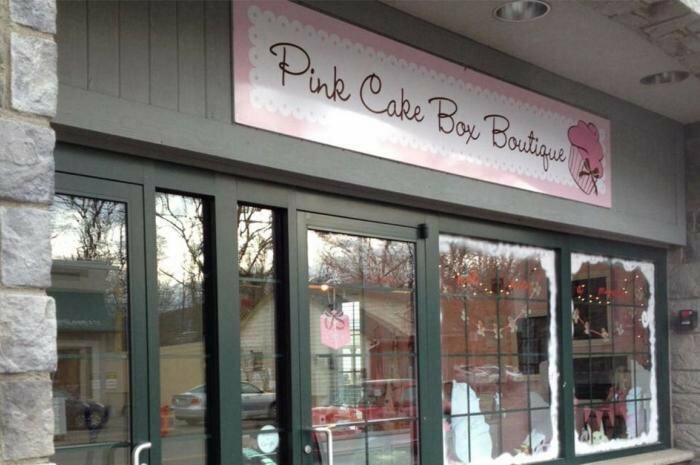 Pink Cake Box is a critically acclaimed bakery that features sweets ranging from the tiniest of cupcakes to a towering wedding cake structure. 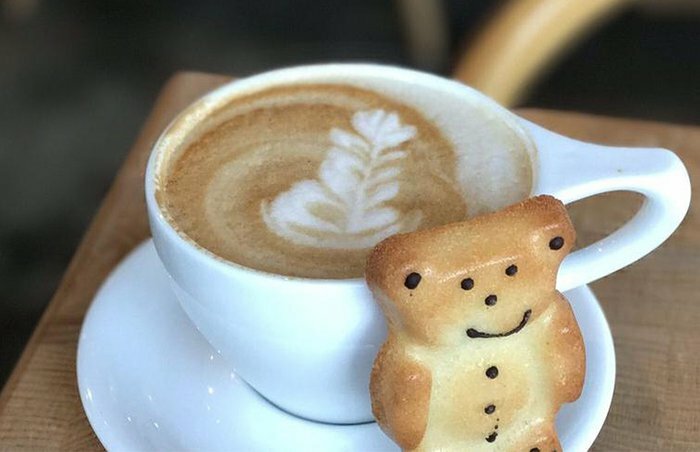 This bakery will take your breath away with its sculptural masterpieces and cakes so moist and delicious that you won't even care how beautiful they are. Flavors include hazelnut Frangelico, pink Champagne cake, pumpkin, and dozens more. Try this amazing bakeshop for a specialty experience you'd be hard-pressed to find anywhere else in the nation. Situated where routes 3 and 46 meet in Little Falls, Great Notch Inn is a true roadside dive bar and a source of endless curiosity for those driving by. Walk inside this neon-lit cabin bar, and you'll find friendly locals sipping on cheap drinks. The jukebox plays classic rock, the bikers mingle with those who just happen to wander in, and the beer is always cold. What more could you want? There's a good reason Uncle Dood's has such a strong fan base in Jersey: the doughnuts are fun, fancy, and delicious. 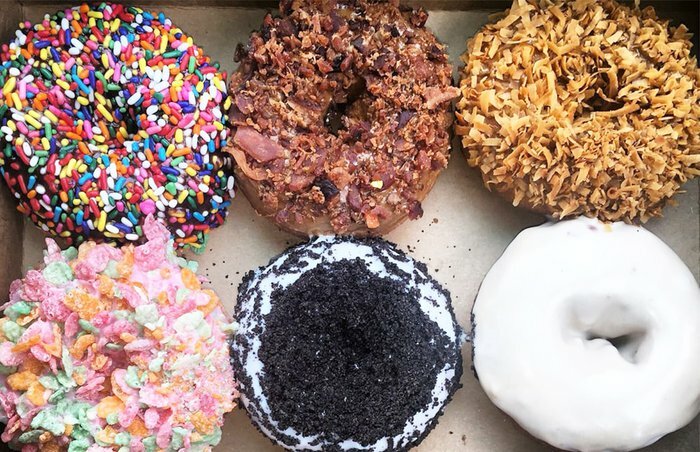 This relatively new opening is both amusing and delicious; doughnuts such as Vermont Swine (maple icing and bacon bits) and Bed Rockin' (vanilla frosting and Fruity Pebbles) make us smile when we read the name and when we bite into the sweet, fluffy creation. Calling itself "New Jersey's first and only authentic Thai food truck," Aroy-D, The Thai Elephant doesn't take this distinction lightly. 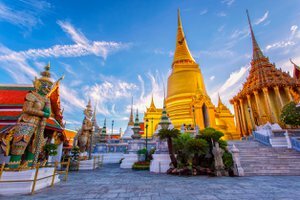 Thailand-born Pupay moved to the United States in 2006 and soon began longing for her native Thai food, which she started making at home. 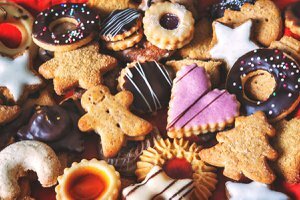 One day she sent food into the office of her husband, Jon, and his co-workers went crazy for it. 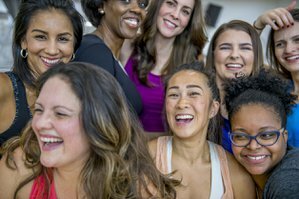 She began catering meetings and eventually joined the Food Network's Great Food Truck Race, and the rest is history. In 2011, the duo opened Aroy-D (Thai for "very yummy") and have been cruising the streets of New Jersey selling Pupay's creations ever since. 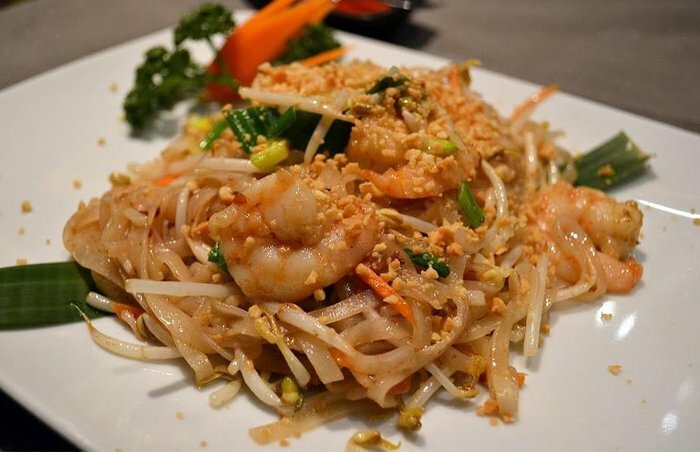 The dishes are flavorful yet approachable - think pad thai, drunken noodles, pad see ew, pineapple fried rice, and dumplings. For those who love the heat, the truck offers three different levels of spice: Dare, Double Dare, and Triple Dog Dare. Choose wisely. 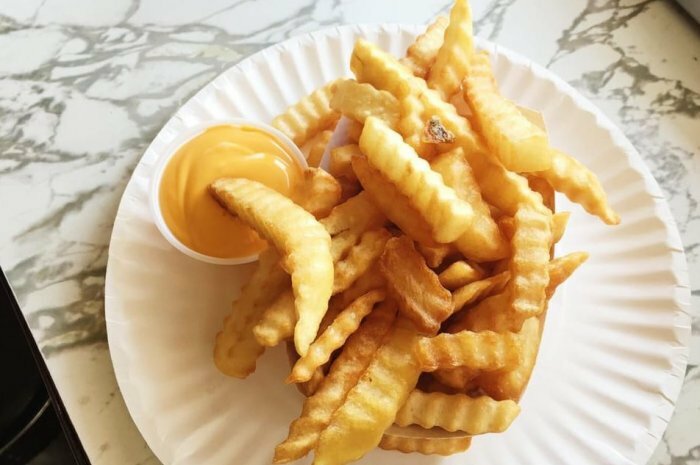 This legendary Hackensack burger joint is nothing short of a local legend, and it satisfies the munchies with its fresh crinkle-cut fries, served with or without cheese. The restaurant's quirky process requires you to order your burgers first from the cook, while fries and drinks are ordered separately at the counter. In business since 1961, this Flemington institution sells some stunning chocolate creations, but it is best known for its good old-fashioned chocolate fudge. The team keeps it simple here with only a handful of flavors, including chocolate nut, vanilla, peanut butter, and chocolate peanut butter. If it ain't broke, why fix it? If you need proof that Asbury Park's renaissance is in full swing, look no further than Modine, a gorgeous Southern restaurant that opened in late December 2017 in the city's historic Post building. 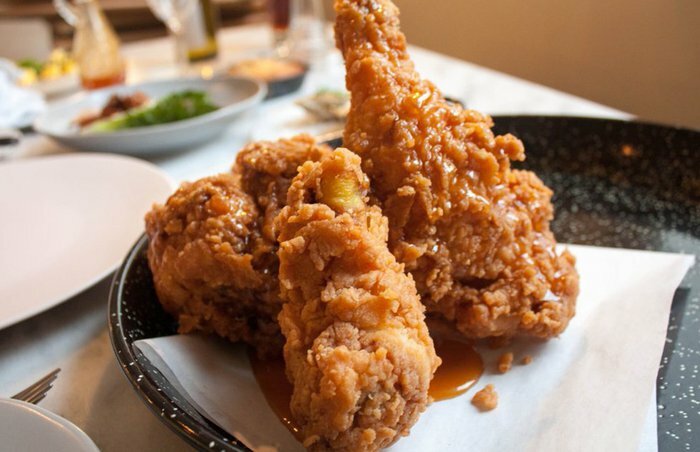 Classic Southern fare is made with seasonal, local ingredients, and the fried chicken, which spent six months in R&D, has already attracted legions of followers and fawning reviews. Chef Jill Meerpohl sources all-natural, pasture-raised chickens from a North Jersey farm, which are brined in buttermilk and pickle juice, cold-smoked, brined again, dredged in seasoned flour along with a sprinkle of the brine (to create those craggy crunchy bits), and fried along with pickles, onions, and cauliflower, which it's served alongside, topped with a drizzle of honey and served with hot sauce on the side. Hungry yet? 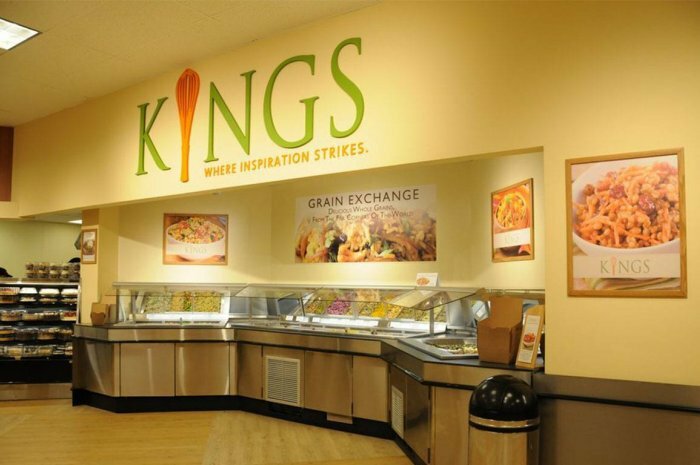 Kings is a New Jersey-founded grocery store chain that stocks local farm produce, fine meats & cheeses, prepared foods and other groceries. The general consensus is that although products maybe a tad expensive, Kings carries the quality products you are looking for. 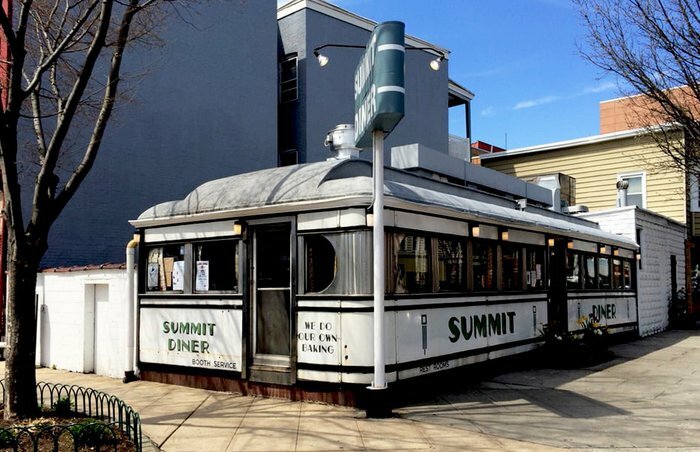 The Summit Diner is the quintessential New Jersey railcar-diner, dating back to 1929. The state's oldest diner is also one of its best-preserved, with a long counter, some booths, and plenty of old wood and an ancient griddle. The only menu is up above the counter, and you can't go wrong with the burger or any of owner Jimmy Greberis' Greek fare. But the must-order is the slider, which isn't what you're thinking: It's actually a Taylor ham, egg, and cheese sandwich, the classic Jersey breakfast. 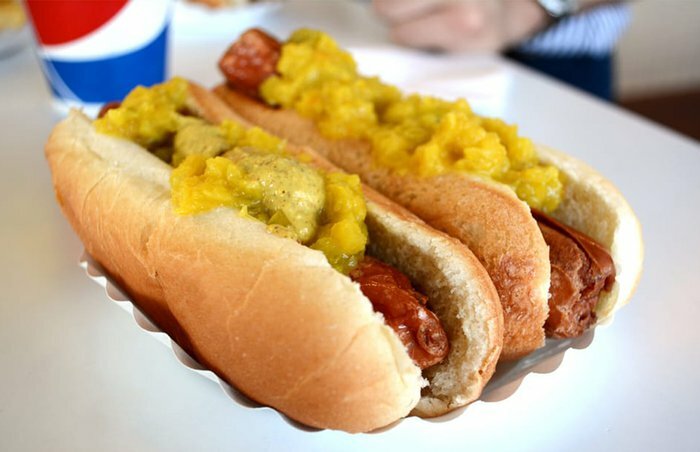 Even if Rutt's Hut, located in blue-collar Clifton, served their trademark Ripper - a pork-and-beef Thumann's link that's deep-fried in beef fat until it rips apart - out of the back of a minivan, it would still be the state's most delicious hot dog. The fact that this roadside shack has not only a counter to end all counters amid its stand-up dining room, but also an adjoining tap room where you can drink cheap beer and chat with old-timers and fellow pilgrims, propels Rutt's Hut to legendary status. Whether you order an "In-And-Outer" (just a quick dunk in the oil), a Ripper, a well-done "Weller," or the crunchy, porky, almost-overcooked "Cremator," make sure you get it "all the way": topped with mustard and a spicy, sweet, onion- and cabbage-based relish. Located inside the bucolic Crystal Springs Resort, Latour is the playground of chef Aishling Stevens, who works closely with local farmers and purveyors to source the finest seasonal ingredients available and craft them into very pricey dishes. 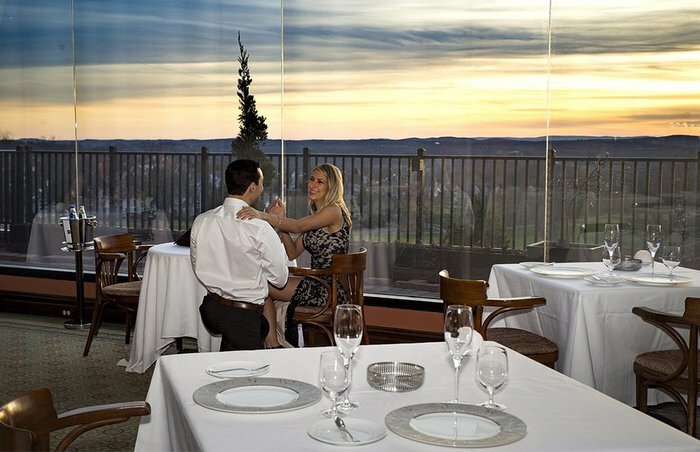 Two menus are available: a four-course prix fixe and a seven-course Chef's Tasting. The menus change regularly (sometimes even daily), but sample menu items include lobster with grabanzos and chervil, farm yolk raviolo with summer truffle and charred alliums, Mangalitsa pork short rib with apricot and mustard cress, and Miyazaki wagyu with horseradish and onion petals. The wine cellar here is also very impressive, home to more than 6,000 labels. It's always a thrill when New Jersey seasonal favorite Van Dyk's Homemade Ice Cream opens for the summer. 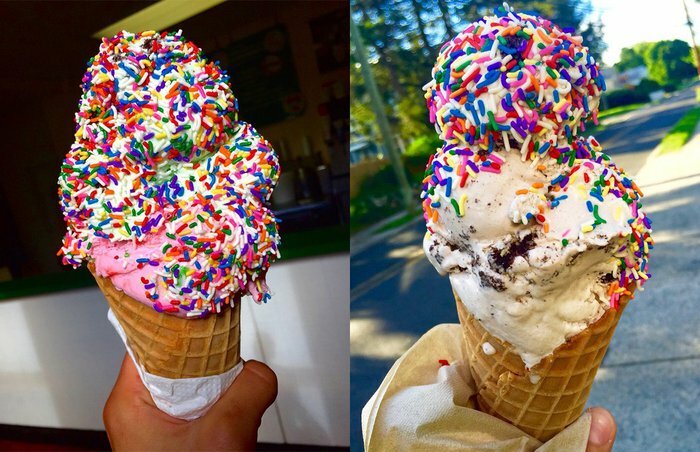 This Bergen County institution is near gorgeous Victorian homes and a handful of other shops, making it an ideal stop for grabbing a cone before you stroll around the neighborhood. 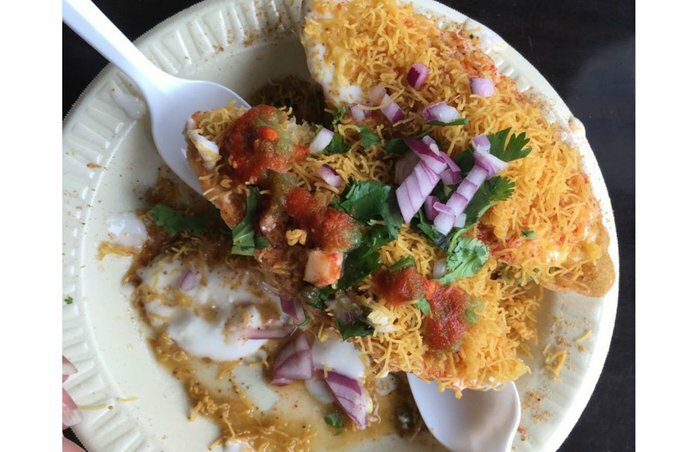 Oak Tree Road, which runs through the neighboring New Jersey towns of Edison and Iselin, is well-known throughout the diaspora in America as a bastion of the best South Asian food, clothes, and shopping. 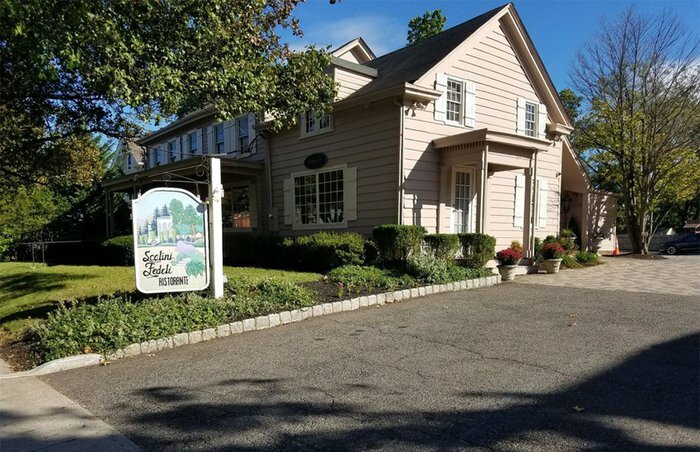 One of the most famous eateries coming out of Oak Tree Road, Dimple's BombayTalk, has had enough success in the past 30 years to garner a second location further down the same street as well as a third just 20 minutes away in Sayreville. A vegetarian's dream, the spot is a local favorite and has also been featured in both The New York Times and Condé Nast Traveller. Enjoy some fantastic Indian street food in the form of different types of sandwiches and chaats (such as the iconic aloo chaat) from Bombay as well as South Indian favorites such as dosa and uttapam (a dosa-like dish made by cooking ingredients into the batter). You'll also find plates of Indo-Chinese and Indo-Thai food here, such as their gobi manchurian (fried cauliflower in Manchurian sauce) and haryali noodles (noodles sauteed in a mint and coriander sauce with veggies and shredded cottage cheese). If you're from a certain part of Northern New Jersey, there's approximately a 100 percent chance that you've heard of Spirito's, and an equally good chance that you've been there. Owned and operated by the Spirito family since it opened in 1932, the dim, wood-paneled Spirito's is a restaurant where time - and the menu - stands still. 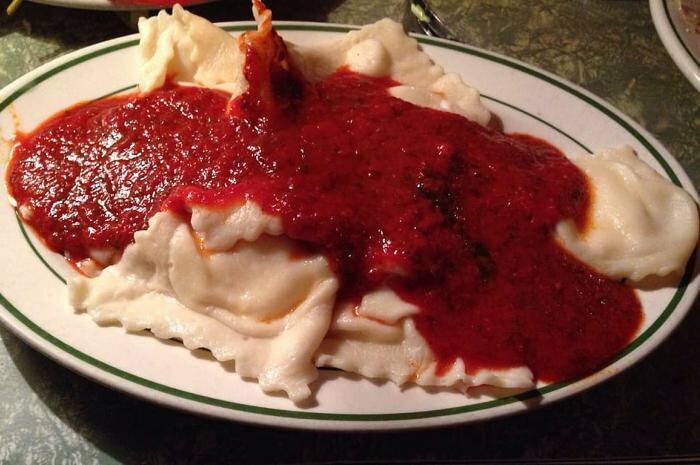 Crowds gather nightly for three equally legendary menu items: ethereally light homemade ravioli, swimming in marinara; veal parm that's so big it doesn't fit on the plate it's served on; and the pizza. A thin, crisp crust, an oregano-heavy sauce, and just the right amount of cheese make this pizza one that mercifully won't fill you up after a slice or two, even if you top it with sausage and pepperoni (which you should do). That's a good thing, because you're going to want some ravioli, too. And that veal Parm. A couple of things to know before going: It's cash-only, and you have to bring your own butter for the bread. Why? Because that's the way it is. 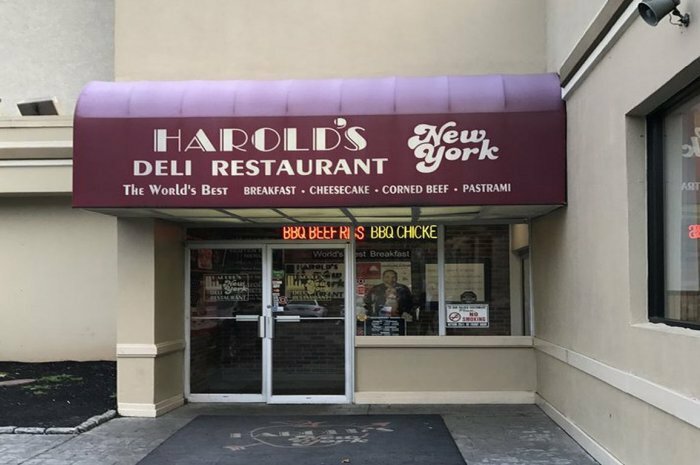 Everything at Harold's in Edison, New Jersey, is super-sized. A cold smoked fish platter filled with whitefish salad or sable feeds two to three people. The deli sandwiches feed the same (maybe even more) and offer items like corned beef, brisket, hot pastrami, and beef tongue. Whatever you decide to go with at Harold's, be sure to swing by the world's largest pickle bar - a real sight to behold. On the outside, Trattoria la Sorrentina may appear to be your neighborhood pizza place, but poke your head inside and you'll see that this restaurant is so much more. Although this is not the most aesthetically pleasing spot, the food here is to die for. 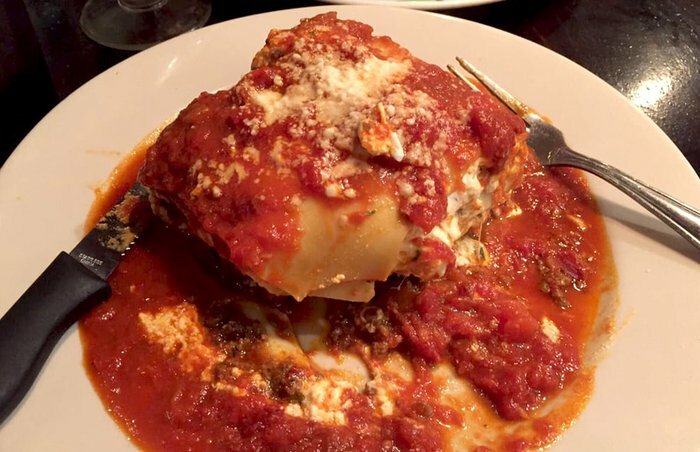 Their Lasagna Napoletana, layered with ricotta, mozzarella, meat, and a rich tomato sauce, melds together into something truly magical and worth seeking out. Located right next door to the legendary White House Sub Shop, this unassuming taquería was opened to cater primarily to employees of the local casinos, but it quickly achieved a level of local renown when chef David Chang stopped by and deemed it "the best Mexican food on the East Coast" in Lucky Peach, and when legendary Philly chef Michael Solomonov fell in love with it on an episode of Vice Munchies. So what makes this place so good, exactly? For one, the tortillas aren't just homemade, they're made to order. 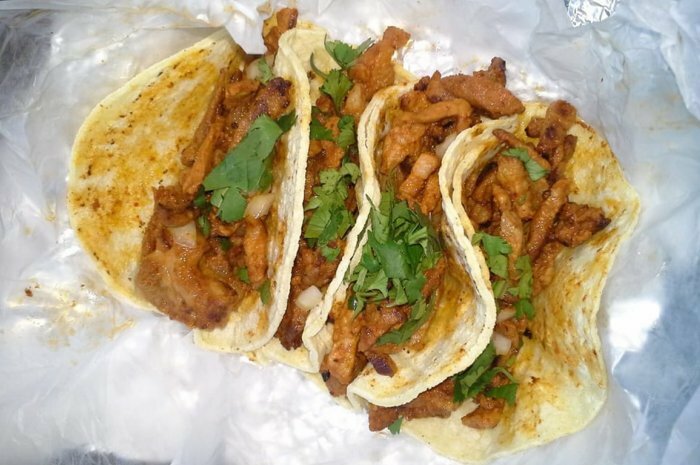 Second, tacos and huaraches are filled with a wide variety of expertly prepared proteins like steak, chicken, brisket, goat, tripe, chorizo, and carnitas. And third, their mole poblano enchiladas are life-changing. Don't try to call or look for a website; they don't answer the phone much and there isn't one. Just go. 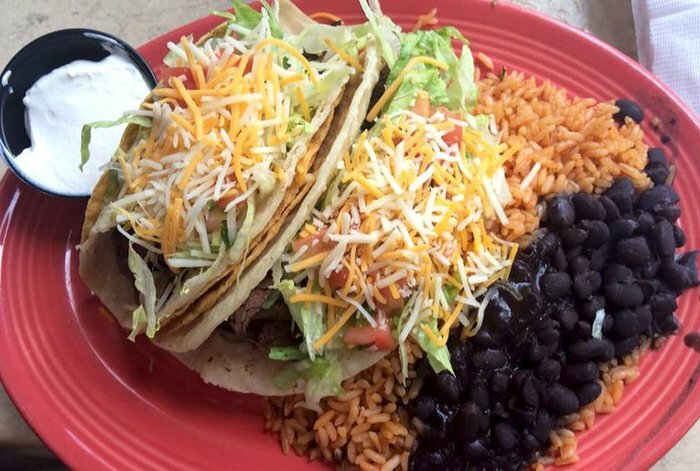 If you love tacos and you love pizza, you don't have to choose between the two at Tony Boloney's. 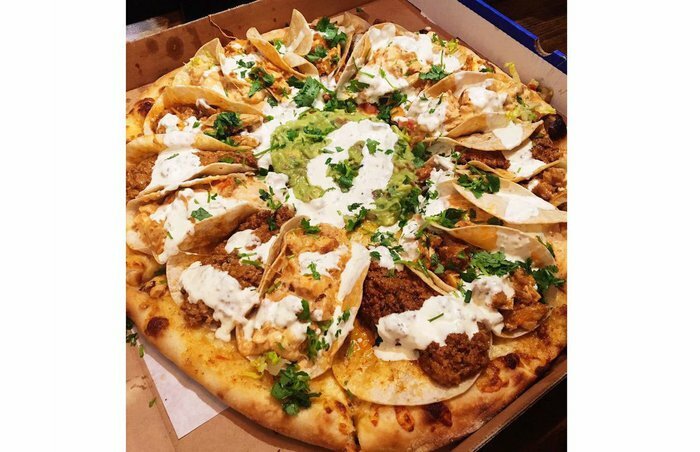 Their Taco Pizza is made with a 120-year-old family recipe for six-hour Jewish brisket, turning it into carne asada, as well as chipotle sauce, hand-pulled queso, and multiple tacos lined up around the pizza as toppings. On top, guacamole, pickled jalapeño crema, and esquites are added on. The Taco Pizza is available by the slice whenever you want, but if you want to order an entire pie, you'll have to pre-order for Tuesdays at the Hoboken location and Thursdays at the Atlantic City location. Located inside a farmhouse dating from the mid-1700s, the elegant and inviting Scalini Fedeli is entering its twenty-fourth year, still under the helm of founding chef Michael Cetrulo. With white tablecloths, high vaulted ceilings, and antique pine floors, just setting foot inside the restaurant sets the stage for a very romantic meal. Cetrulo's menu fuses French and Italian; some standouts include diver sea scallop carpaccio with citrus dressing and tapenade; soft egg yolk raviolo filled with spinach and ricotta topped with Parmigiano and melted truffle butter; potato-crusted snapper over sautéed wild mushrooms with red wine reduction and roasted beets; and veal chop with porcini-Dijon sauce and braised vegetables. This restaurant was so successful that in 2000 it spawned a New York City location, which is still going strong. 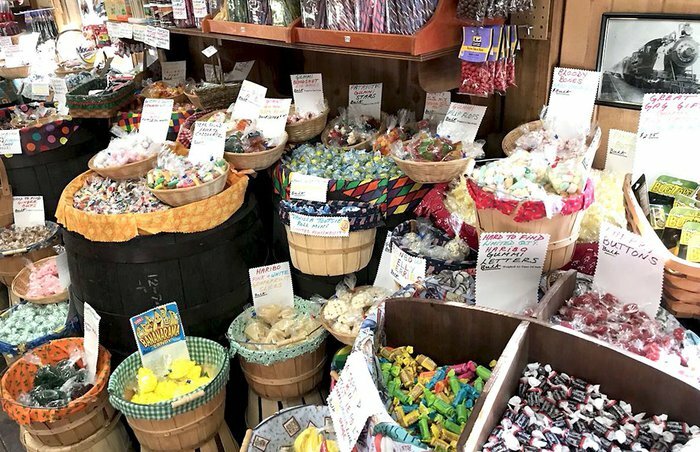 Black River promises that if there's an old-timey candy on the market, they have it. Step back in time with Clark Bars, Whatchamacallit, PEZ, Slo-Poke, Licorice Crows, Circus Peanuts, Necco Wafers, and more. Locals can order the candy buffet for a nostalgic birthday party, wedding, or class reunion. 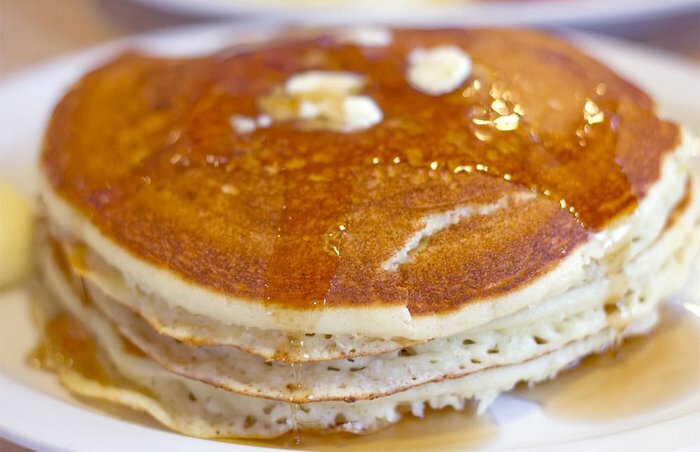 This Jersey City spot looks like just about every other classic New Jersey Greek diner, except for one difference: 27 different varieties of pancakes are on the menu, made from a buttermilk pancake recipe that dates back to the early 1970s. Chocolate chips and pecans; dried cranberries and apple cinnamon compote; warm blueberry compote and sour cream; ham, bacon, and sausage; walnuts, almonds, pecans, and honey; peanut butter and jelly; shredded coconut; chocolate chip, peanut butter, bananas, whipped cream, and caramel... the possibilities are just about endless. Razza opened just across the Hudson River from New York in Jersey City in late 2012, and it quietly became renowned locally for its wood-fired pizzas prepared by chef-owner Dan Richer, who was a semifinalist for the James Beard Rising Star Award and is so meticulous about his craft that he was nicknamed "the Jiro of Bread," after the sushi chef featured in Jiro Dreams of Sushi. 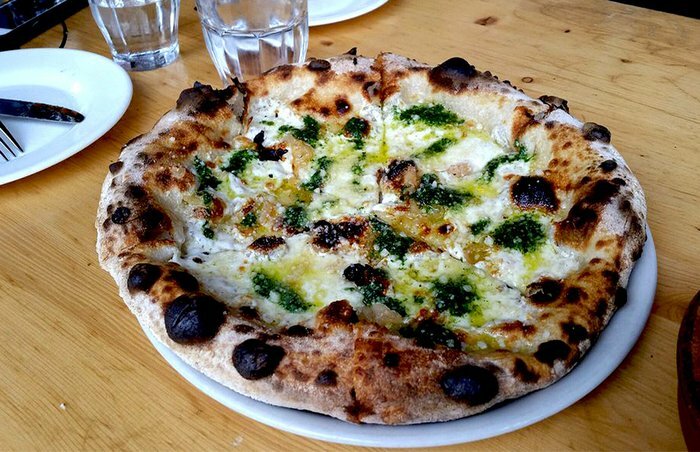 But it wasn't until New York Times critic Pete Wells showed up this year that pizza lovers across the river really took notice. Wells gave it about as glowing a review as possible, even going so far as to deem it "the best pizza in New York." Not only has Richer perfected his crust - it's crisp from end to end and its inside is soft with a complex flavor - he's also meticulous about his toppings, which he sources locally. The mozzarella on his Bufala pie, for example, comes from water buffalo from Jersey's Sussex County; he had to wait years for the herd to grow large enough to ensure a steady supply of the notoriously difficult-to-perfect cheese. And as for the sauce, Richer told the Times that he waits for the latest vintages of tomatoes from California, New Jersey, and Italy to be canned each January before blind-tasting and grading them all, then blending them like fine wine. When assembled, the pizza is damn near perfect. In a state with no shortage of spectacular diners, this East Newark institution has risen to the top of the pack. Open since the 1920s and operated by current owners Jimmy and John Golemis since 1972, Tops opens at 6 a.m. daily and serves a breakfast menu that keeps regulars coming back again and again. 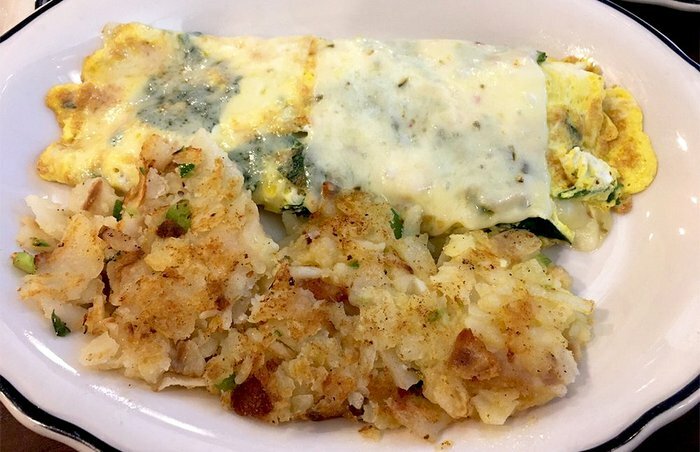 All the expected diner classics are on offer here, expertly prepared - omelettes, pancakes, ham and eggs, French toast, house-made corned beef hash and eggs, Monte Cristo, waffles - but everything's been elevated to historic levels of greatness. Eggs are local and cage-free, and standouts include Eggs From Heaven (three eggs baked with cheesy grits in a spicy tomato jambalaya sauce with chorizo and toast), Sunrise Burrito (filled with scrambled eggs, bacon, chicken chorizo, cheese, fried potatoes, avocado, and peppers and onions and topped with spicy ranchero sauce), steak and eggs with a 12-ounce New York strip, multi-grain buttermilk pancakes topped with cinnamon and fresh fruit, Louisiana Benedict with spicy chorizo, chicken and waffles, and brioche French toast stuffed with peanut butter and spiced bananas. This place is, well, the tops. No trip to Atlantic City is complete without a visit to White House Sub Shop, now sadly down to just one location (the original) on Arctic Avenue, because the boardwalk location shut down along with the rest of Trump Taj Mahal in last year. But that's OK; it's been going strong since 1946, and it's still worth the pilgrimage. 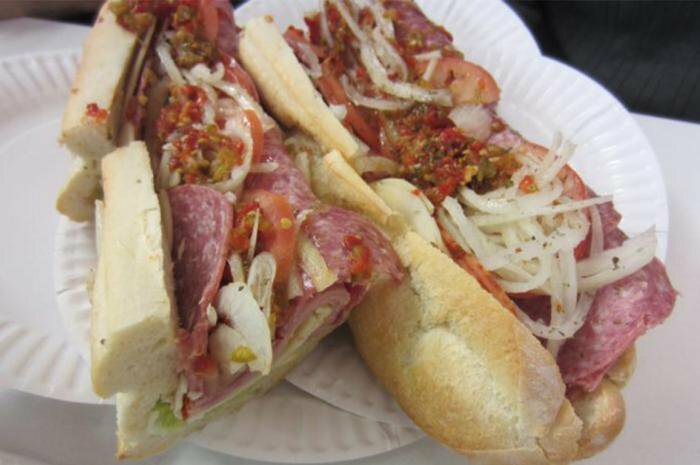 When you go, there's only one sandwich you need to order: the Italian. Genoa salami, provolone, ham, and capicola are piled onto a soft and chewy Italian loaf, topped with lettuce, tomato, sliced onion, chopped roasted peppers, Italian seasonings, oil, and vinegar. A full-length sandwich runs about a foot and a half, so you'll probably want to share it. And if you want to double the fillings, make it a White House Special. There's almost always a line around the block at this place, but the wait is well worth it. 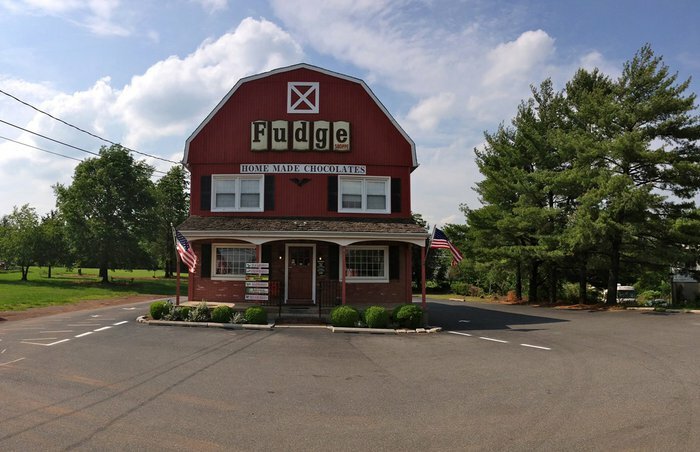 Tucked away in a sleepy corner of Princeton is the sprawling Pennsylvania Dutch Farmers Market, home to stalls selling fresh dairy products, meats, salads, produce, and even furniture straight from Pennsylvania Dutch country. 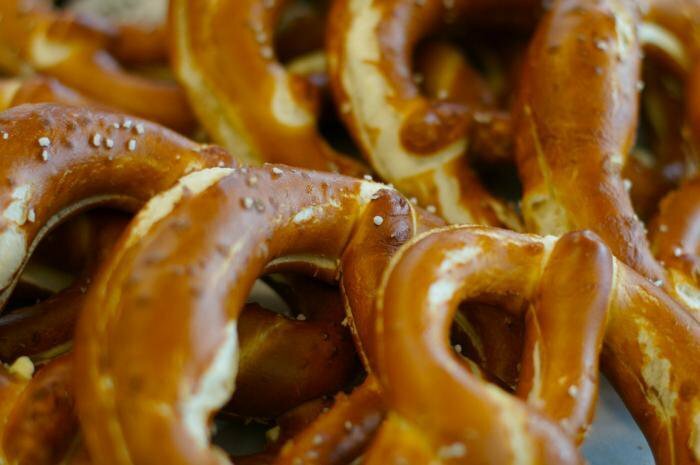 But no visit to the market is complete without a stop at Stoltzfus' Pretzels, located right by the entrance. These are hand-rolled throughout the day right at the front counter, and you can watch the whole production process from start to finish. Their classic soft pretzel, served warm from the oven, is a work of art, but don't miss their pretzel dog, which wraps a stellar hot dog from Smoker's Deli across the aisle with their fresh pretzel dough. This casual café and lunch counter serves all the classic breakfast and lunch staples (their hot dogs and steak sandwich are especially popular), but it's the soups that have really put it on the map. 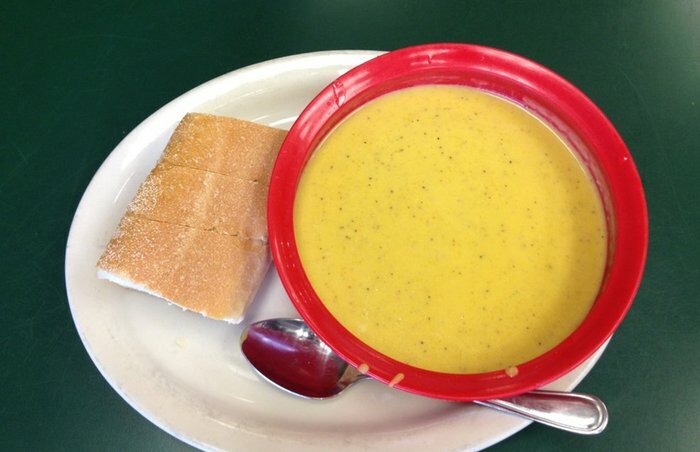 The variety changes daily, but expect to find butternut squash, chicken noodle, beef stew, New England clam chowder, chicken gumbo, pasta fagiolo, and/or Spanish chicken soup, all made fresh every say using only the best seasonal ingredients. Even though it's located on the opposite side of the Hudson River from Manhattan, just south of the George Washington Bridge, The River Palm Terrace can rank right up there with the big boys across the water. All steaks are Black Angus USDA Prime, dry-aged in-house for 28 days, and sliced daily by their in-house butcher, and seafood is purchased daily from New York's Hunts Point Market, with at least six fresh varieties (and some surprisingly great sushi) on offer daily. 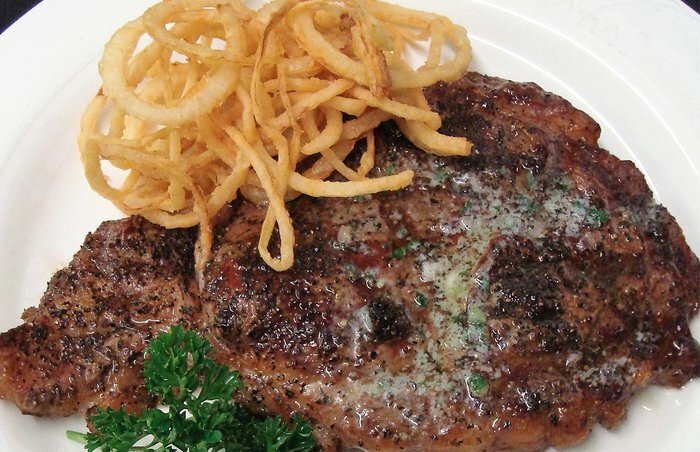 New York strips, fillets, T-bones, and porterhouses for two are given a deep sear under a ripping-hot broiler, and nearly every other item on the menu is equally worthy of praise. An early trailblazer in the restaurant boom that's been taking over the increasingly upscale area of Jersey City near the Exchange Place PATH station, Honshu has been charming the locals for more than 10 years. They recently moved to a new location, and it's spacious, trendy, and great for both date night and a local takeout. 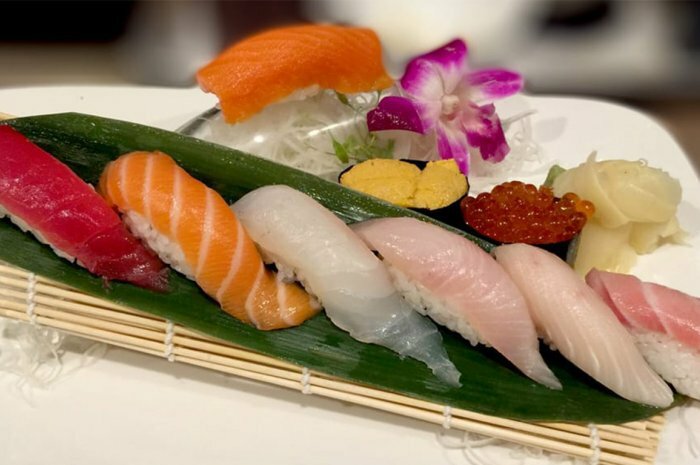 The sushi is fresh and prepared with skill, and though the rolls will knock your socks off (especially the Fashion roll with yellowtail, salmon, jalapeño, fresh scallop, and green tobiko), it's the rotating selection of nigiri and sashimi that really puts this place over the top. Opt for the golden eye snapper, baby yellowtail, white salmon, or live orange clam when they're available, or (even better) trust them and order the omakase. There's no shortage of solid Mexican spots in Newark, but locals agree Aguilas de Mexico is the real deal. This family-owned Ironbound gem has only been around since 2012, but its freshness and consistency has already endeared it to locals. Al Pastor is tender and delicious, with a little crisp on the pork and some pineapple tying it all together. 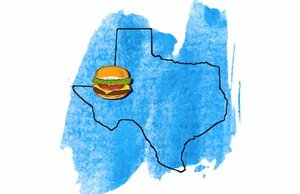 For more states, check out our ultimate guide to the best food and drink in every state for 2019.